The rules of the award state that I must now tell seven facts about myself and nominate fifteen other bloggers to receive the award. 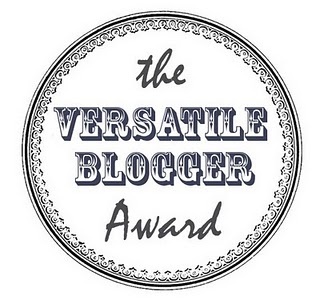 However, as this award has been doing the rounds this week, most of the Japan-related blogs I would nominate have already been nominated, so rather than making this award go round and round in circles forever, I will simply recommend 15 blogs without any obligation for those bloggers to pass on the award (although they can if they want to). 1) I have been writing Haikugirl’s Japan since 2007. 2) My favourite Japanese character is Rilakkuma. 3) I have visited many places in Japan on Honshu and Hokkaido, but have not yet been to Kyushu, Shikoku or Okinawa. 4) I’m a pescetarian, which means I eat fish but not meat. So, I can eat sushi, but I usually can’t eat ramen. 5) I became interested in Japanese culture through playing a computer game called Shenmue on the Dreamcast and through studying haiku. 6) When I moved to Japan I made a decision not to start obsessing over all the flavours of Pocky… instead I started collecting Kit Kats. 7) My favourite Japanese song is Rouge no Dengon by Yumi Arai. Find more blogs and websites which I recommend on my links page. Congrats 🙂 Will you go back to Japan to explore the other parts you’ve never been to soon? I love that song too. Thank you very much for the nomination and mention! I feel very special to be included in this fantastic group of Japan bloggers!